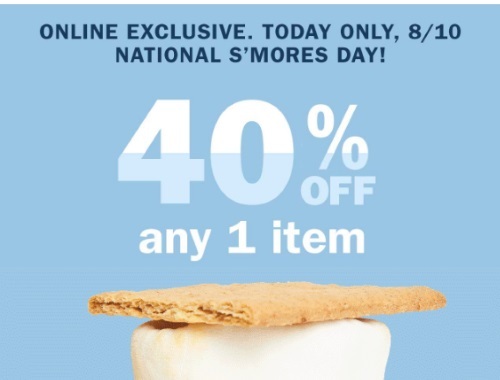 It's National S'mores Day today! Get some great deals on Old navy online! Save 40% off one item with the promo code YUM and 30% off the rest of your order with the same promo code. Also now until September 4 get $10 Super Cash for every $25 that you spend. Offer is valid today only, Thursday, August 10, 2017.